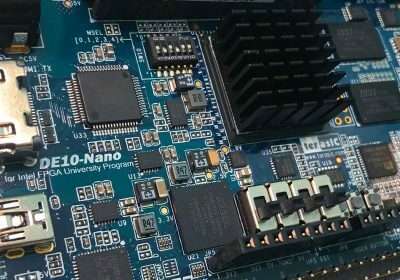 Every now and then, when visiting different parts of the US, I like to track down independent or small-chain game stores and report my findings to the Racketboy community. 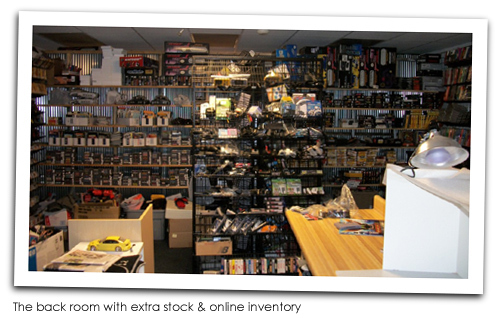 For an independent game store, it doesn’t get much better than this. I’ve seen a few that were a bit slicker, but they didn’t have as much inventory to deal with. So props to Jason and the Trade N Games staff for making the place so attractive and browsable while dealing with a high level of inventory. Even with my GPS, it was just a bit tricky to find the store, but it’s definitely worth the trip out of your way. Granted, Jason and the staff knew I was coming, so they could have been putting on an act, but I like to think I’m a pretty good judge of character and know when people are “faking it”. Jason seemed to be a genuinely friendly guy and knew his stuff quite well. While I was interviewing him, I also paid attention to how the other staff members interacted with other customers that came in and out of the store and they all seemed very helpful. They answered people’s questions efficiently and helped them find what they were looking for. 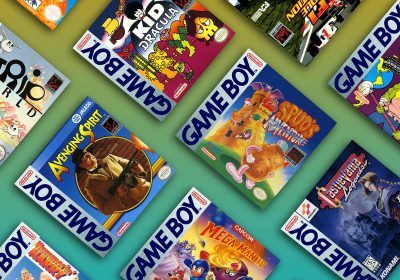 Trade N Games is filled with multi-platform nostalgia. Not only are the shelves and counters jam-packed with games, systems, and accessories, but the walls are filled with classic-gaming décor. Jason, mentioned that the extra items aren’t for sale, but only for giving the store a more enjoyable feel. While I was in the store, it was also fun listening in on other customers. When one older gentleman walked in the door, he was greeted with a casual, “is there anything I can help you find?”. He quickly responded with “how ‘bout some 3DO games?”. In my experience, that’s not a common request in the stores I frequent. The cool thing was, Trade N Games actually had some 3DO titles in stock. Jason also mentioned [in the extended version of the video interview] that Trade N Games has quite a few kids that visit the store on their quest to building a collection of NES cartridges. Personally, I’d love to witness the type of youthful excitement for classic games that some of his customers have displayed. For the most part, the game selection is very browsable. Sometimes, display boxes are only shown and you need to ask to get the actual cart. Because of space constraints, N64 and Gameboy carts are all behind glass. I was very impressed with the offerings the store had – especially for the prices they were selling at. 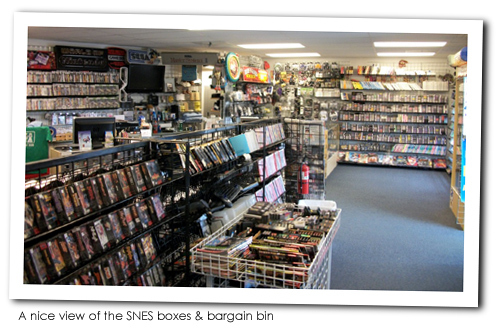 In the retro game business, it’s very hard for a store to strike the balance between price and selection. Most of the time, if the games are especially affordable, the stock gets depleted of the “good stuff” very quickly. But Jason and the Trade N Games team seems to have mastered the fine art of keeping a good selection in stock and pricing them fairly. Of course, since the prices are fair, you probably won’t find every single item on your personal wish list in stock, but you will find quite a few in most cases. As with most stores I’ve visited, the stock seems to favor the Nintendo platforms most, but the store also had a good selection of Genesis titles in addition to a handful of Dreamcast and Saturn games (much better than most stores). They also carry a bunch of classic Atari games in addition to a handful of titles for more obscure platforms. 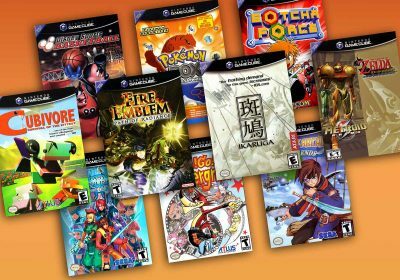 More modern and popular platforms like the Playstations, Xboxes, Gamecube, and Wii are all strongly represented with good values. 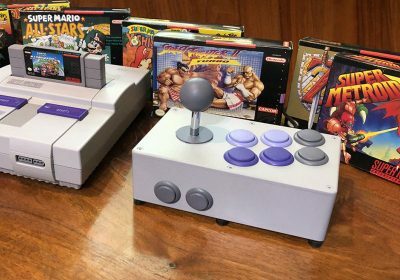 Trade N Games definitely has found the sweet-spot of retro game pricing. Everything is very fair and you will find a few good values in there (compared to buying on eBay/Amazon). If they were any cheaper, they would most likely having a hard time keeping things in stock. 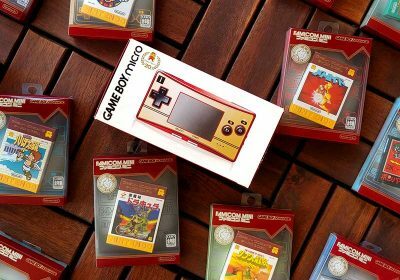 Some of the more popular Mario games might be a bit more expensive than what they sell for on eBay, but they try to keep these in stock for the people that are just starting out with the system – totally understandable. 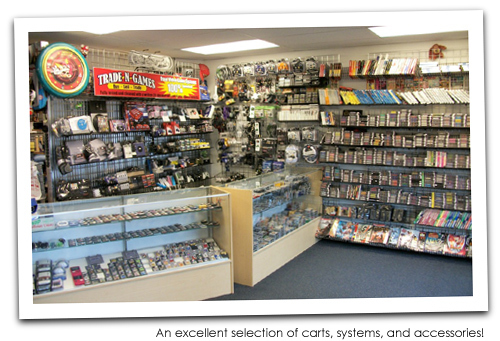 In addition to fair prices and solid selection, Trade N Games prides itself on the condition of the games it sells. It won’t buy items in crappy condition, prices things according to if it’s boxed or not, and does high-quality resurfacing on all disc-based games. They also clean and test all games, systems and accessories before selling them. It’s a wonderful feeling when you know you can buy with confidence and not have to worry about searching for items in the condition that meets your standards. Most of the comments about price and selection from above still apply here, but the most specific elements of the online experience are exceptional. The site is well organized and easy to use and order. Each item has good pictures of the actual item you are ordering. I ordered a Gameboy Color, a complete Sega Saturn and Sega CD game, in addition to a couple of Genesis games for some of my cart-only games. Everything arrived in pristine condition and packed wonderfully in plenty of bubble wrap and durable boxes. Shipping was super-quick too. It’s everything you wish eBay would be. Honestly, it doesn’t get much better than Trade N Games. I haven’t experienced what I would consider a 10/10. In this day, I don’t know if one could exist – but maybe I’ll find one someday. Until then, I’ll just look forward to the day I can visit Jason and the crew again. Overall, it’s a great place to shop to round out your collection without spending a whole ton of money. The selection is very nice and the prices are more than fair. The addition of things like extra game boxes and manuals are a very nice touch for people like me that want to upgrade their existing collections. Their online store is also very solid and I still check back to score some nice deals for excellent-condition items. 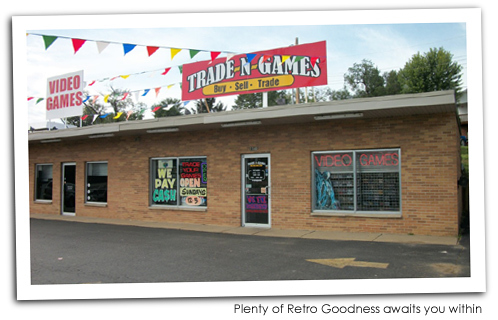 Have You Been To Trade N Games? This store is right by me. It is a very cool little store with a surprising amount of stock. Very easy store to deal with too. It is nice that they acctualy care about the condition of the game. My local play-n-trade is full of disc based games (ps1, saturn, etc) were the cases are just cracked and broken. I asked why they even took stuff like this and they said they didn’t really care as long as the disc worked. A lot of their “special” games they have in their display cases are also in rather poor condition, yet they sell them for a premium price. Jason is the real deal. Here in Stl, we’ve got plenty of franchises owned by folks that like video games and try to make a living off of them. This place is on a whole different level. This is his passion. A few years back, I was fortunate enough to see (some of)his personal collection in back. Good lord. How many store owners have a complete catalog of boxed Sega Master System games? How many owners put their colecovision collection up for sale because they’ve acquired complete boxed versions to replace them with? A+ Store and an A+ guy who’s just as excited about playing/collecting as he is about running the store. I just want to say that I have trade n games as a contact in my phone. I absolutely love this store. 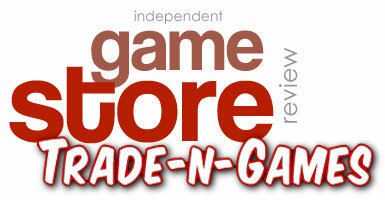 I can’t imagine any game store that is better than Trade n Games! this place is the best! That guy truly is passionate, and it shows in everything he does. His business practices are outstanding. Thanks for bringing this one to my attention! Now I know exactly where I’ll buy any of my future used games and hardware. Lesson to be learned is to not cut corners and treat people right and your business will be successful. He’s not super rich, but he’s happy because he makes others happy. Nice reporting! I didn’t find exactly what I was looking for on his site, but the prices are fair and the site is really easy to navigate. I have been to TradeNGames. I have met Jason personally. I have spent a couple hundred dollars in his store. Great items at a great price. Jason shared with me his love for Atari 2600 games and I have never been able to compare another collection to his personally. I live in Michigan and it was a hike to visit his store, but well worth the trip! I just placed my second online order with Trade N Games. I check the site regularly for new items. I really like that they sell boxes and manuals so you can complete the pieces missing in your collection. Great store, great site. Excellent store. Great selection and excellent service. Trade N Games is walking distance to my house. And I can say this, everything you saw is 100% genuine. You said that they knew you were coming and they might have fixed up the place a bit and I can tell you this. They didn’t have to fix up a single thing. Jason prides himself and making sure that place is top notch. I’ve known Jason since just after he opened the store and there is nothing more that excites him than this store and how much he takes care of it. I use to live in the St. Louis Area…… thinking about moving back, so thanks for this review. Always good to know where the goods are at. Wow, I live in the middle of Missouri and this is an amazing find!! 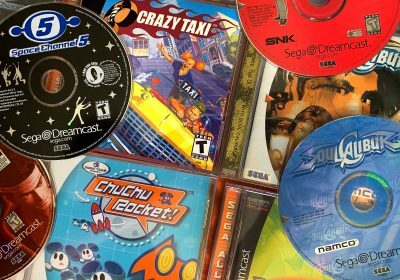 I am a collector who is all about cart quality – and trying to build up your collection one game at a time via eBay of that quality has been very tedious and expensive. Just from the 10 min. of browsing I did on their website they have not only a very good selection, but the condition and price is great! I’m definitely going to save up some money for the next 2-3 months and make that a big stop. Awesome store. I always find what I’m looking for. Nice staff and clean store! all an all this store is great. I have had a couple issues with a couple NES games glitching or not working at all. Granted they were very quick about replacing the items. The prices always to seem somewhat fair until recently I have noticed some prices on items really being somewhat outrageous. My only other compliant is with the trade in value on items. I have seen first hand someone only get 50 dollars on something they end up selling for 160 bucks, I mean come on if you are going to sell it for that much at least give the poor guy half what you are going to sell it for. I am quite unhappy with some of my nes games I have bought on the online store. I believe his idea of a boxed nes game being in great or very great condition is way below my standards of rating a game in the same condition. It would have been nice to be told of a tear on the side of the box. I would either suggest that you don’t trust the condition of the box from the description or the operator of the online store be more specific with the product description. I’m in the St. Louis area every once in a while, I’ll have to check this place out soon. I’ve bought from the website, it’s fantastic and his prices are very low. The key is that he has pictures of everything, and he’s one of the few that sell manuals individually (atari2600.com being the other). I am an Aussie collector and i was just wondering if you ship to Sydney Australia?